There’s cashmere, and then there’s superlative cashmere from Johnstons of Elgin in Scotland. With over 200 years of experience, they’re dedicated to creating world-leading cashmere using only the finest raw fibres. 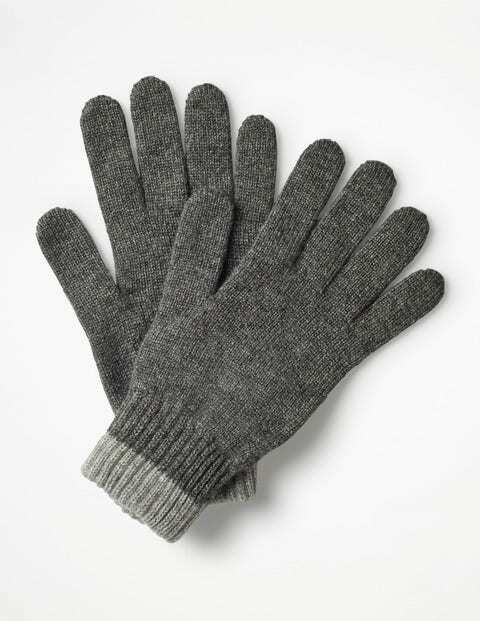 So when we say these gloves are the ultimate in everyday luxury, we really mean it. Plus: with gifting very high on the agenda, it’s important to know that there’s a matching hat with your present-buying name all over it. If you can bear to give them away, that is.